Welcome to the May 3, 2017 edition of ACM TechNews, providing timely information for IT professionals three times a week. Researchers at the University of Science and Technology of China say they have constructed the first-ever form of quantum computer that is 10 to 11 times faster than the ENIAC electronic digital computer developed in the 1940s would have been. 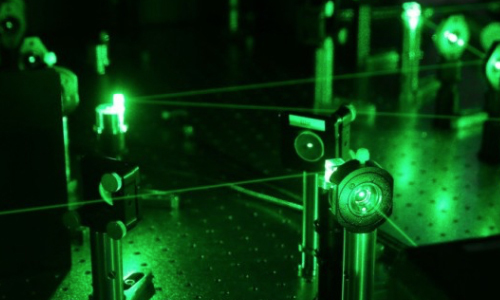 Lead scientist on the project Pan Jianwei says their boson-sampling machine currently can execute calculations for five photons at a speed 24,000 times faster than earlier experiments. Jianwei also predicts their scalable machine architecture will outmatch all of the world's supercomputers in calculating photonic behavior within a few years. University of Texas at Austin professor Scott Aaronson says a key goal of building boson-sampling machines is proving quantum devices have a demonstrable advantage in one area of complex calculations over existing types of computers. "Doing so would answer the quantum computing skeptics and help pave the way towards universal quantum computation," he says. Imperial College London researcher James Booth and colleagues in the U.K. have automated the generation of three-dimensional (3D) morphable models used to represent human faces. The initial step in their approach is the algorithmic landmarking of features in facial scans, and then a second algorithm aligns all of the scans using those landmarks and merges them into a model. A final algorithm spots and eliminates bad scans. Applying the method to a corpus of almost 10,000 demographically diverse facial scans yielded a large-scale facial model (LSFM) that represented faces with much greater accuracy than existing models. Booth's team also has used 100,000 faces produced by their LSFM to train an artificial intelligence program to render two-dimensional snapshots as accurate 3D models. Potential uses for the technique include enhancing plastic surgery, identifying genetic diseases with greater sensitivity, and synthesizing and animating historical figures from portraits. 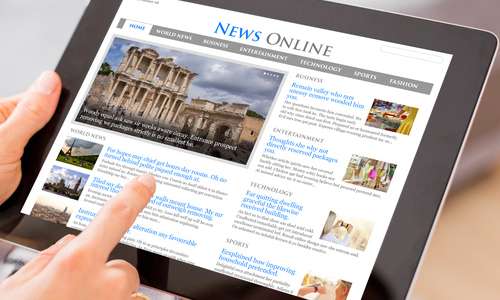 Scientists are attempting to counter a rash of fake news spreading online as European elections loom. For example, University of Sheffield researcher Andreas Vlachos in the U.K. is advising a global hackathon in which contestants use artificial intelligence (AI) to combat misinformation. Meanwhile, two U.K. groups plan to use AI to automatically fact-check online claims ahead of Britain's parliamentary election in June. French academic David Chavalarias has developed a digital tool that has vetted more than 80 million tweets about the French election, helping journalists and fact-checkers review claims spread on Twitter. Carnegie Mellon University's Dean Pomerleau created a challenge that prompted about 100 teams worldwide to develop algorithms to predict the truthfulness of online claims. "Algorithms will have to do a lot of the heavy lifting when it comes to fighting misinformation," says First Draft News' Claire Wardle. "It's impossible to do all of this by hand." Although women's contributions in open source software communities tend to be accepted more often than men's in general, they are rejected more frequently when a woman's gender is identifiable, according to a new study by North Carolina State University (NCSU) researchers. The assessment of more than 3 million pull requests from about 330,000 GitHub users--about 21,000 of whom were female--found 78.7 percent of women's pull requests were accepted, versus 74.6 percent for men. However, coders who could easily be identified as women based on their names or profile pictures had a 58-percent pull request acceptance rate, while identifiable men had a 61-percent rate. In addition, the researchers found women programmers with gender-neutral profiles had a higher acceptance rate than any other group, including their male equivalents. "Our results indicate that gender bias does exist in open source programming," says NCSU professor Emerson Murphy-Hill. Researchers at Osaka University in Japan have developed a tool that uses machine learning to model personal sleep patterns using sounds made during sleep. The researchers used smartphones to record the sounds of sleeping volunteers, and used modified self-organizing map (SOM) algorithms to analyze the sounds and compare them with polysomnography (PSG) data taken from the same volunteers. PSG measures an assortment of activities during sleep, including brain activity, eye movements, and heart rhythms. Osaka professor Ken-ichi Fukui says the researchers used the SOM algorithms to visualize the dynamics of sleep. The algorithms extracted very obvious sleeping patterns based on noises such as snoring and teeth grinding. The researchers say the association of sleep sounds with sleep patterns provides a whole new prospect of sleep diagnostics. They say new apps could be used to record sleep sounds and provide recommendations to improve sleep patterns. Researchers at the Massachusetts Institute of Technology's (MIT) Computer Science and Artificial Intelligence Laboratory (CSAIL) have developed the "WiGait" device, which measures the walking speed of multiple individuals using wireless signals. Building on ACM Grace Murray Hopper Award recipient Dina Katabi's earlier work on a tool that analyzes signals bounced off of people's bodies, WiGait employs in-home sensors to define changes in walking speed over time. "This can provide insight into whether someone should adjust their health regimen, whether that's doing physical therapy or altering their medications," says MIT's Chen-Yu Hsu. WiGait's 85-percent to 99-percent accurate stride length measurements are achieved by analyzing surrounding wireless signals and their reflections off a person's body. 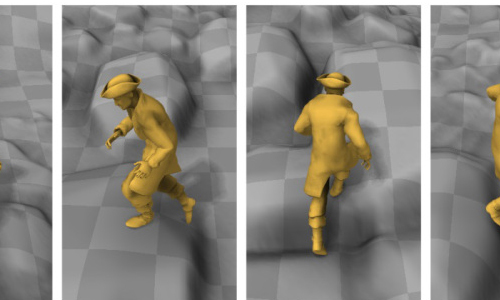 The CSAIL team's algorithms also differentiate walking from other movements. 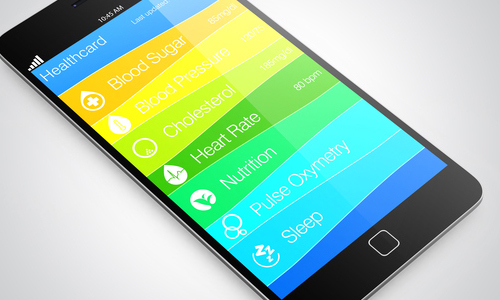 "This device...can map major metrics of health and behavior without any active engagement from the user, which is especially helpful for the cognitively impaired," says Harvard Medical School's Ipsit Vahia. Researchers at the University of Edinburgh in the U.K. have developed a machine-learning system that feeds on motion-capture clips showing various kinds of movement. When the system is provided with an input such as a user saying "go this way" and accounting for the terrain, it produces the animation that best fits both, such as going from a jog to hopping over a small obstacle. The new system means no custom animation is necessary for transitioning from a jog to a hop, as it creates smooth movements and no jarring switches from one animation type to another. Previous systems would often show the wrong type of movement or skip animations because they were unsure which to use. The researchers solved this by adding a phase function to the neural network that prevents it from wrongly mixing animation types. The researchers will present the system in July at ACM SIGGRAPH 2017 in Los Angeles, CA. Engineers at Stanford University say they have developed a flexible, organic, and biodegradable electronic device. They describe it as a semiconductive polymer that can decompose, mated to a degradable electronic circuit and a biodegradable substrate. Leading the project is Stanford professor Zhenan Bao, who previously created a non-degradable flexible electrode modeled on human skin. Bao says applying a weak acid such as vinegar to the new device can trigger decomposition, while using iron for the electronic elements and transparent cellulose for the substrate ensures non-toxicity. "We envision these soft patches that are very thin and conformable to the skin that can measure blood pressure, glucose value, sweat content," Bao says. The biocompatibility of the device also makes its insertion within the human body possible, although Bao says additional research is required before implantation can be deemed viable. 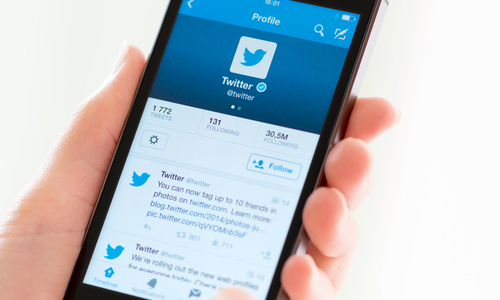 A new study by researchers at the University of Surrey in the U.K. found Twitter could have predicted the outcome of the Brexit vote, and they suggest more attention should be paid to Twitter trends. The researchers examined 18,000 tweets posted in the five months leading up to the 2016 Brexit vote by the three main campaign groups: Stronger In, which was the official Twitter account of the Remain campaign; and Vote Leave and Leave.EU, which supported the Leave campaign. The researchers found the Leave campaign continually outperformed its rival in disseminating its online messaging and as presenting itself as agenda setters compared to the Remain campaign, which delivered a more sporadic, inflexible online strategy. They also found Stronger In was marginally more likely to make negative comments about its opponents, despite devoting a relatively high volume of its content to positive arguments. Researchers at the Agency for Science, Technology and Research's (A*STAR) Data Storage Institute in Singapore have developed HEDup, a system that enables cloud storage providers to better manage users' content, providing more storage capacity will still being unable to "read" data. HEDup involves the use of a separate "key server," which assigns a secure key to the data that will be encrypted and then uploaded for storage on the cloud's server. The service provider then can employ "homomorphic" encryption, which involves carrying out computations on the encrypted text to detect information from the data's secure key, enabling the provider to determine whether it is a duplicate. The A*STAR researchers tested the system and found it increased the uploading time of a 16-megabyte file, which normally takes about 5.22 seconds, by 1.4 seconds, and increased downloading time by just 0.4 seconds. Two researchers at the University of California, Berkeley (UC Berkeley) have developed WheelSense, a low-cost, modular, customizable add-on system for wheelchairs that employs sensors and software to make navigation easier for visually-impaired users. UC Berkeley students Tomas Vega and Corten Singer designed WheelSense to use infrared range finders that detect the distance to an obstacle, or if the distance from the sensor to the ground is about to change. It emits a tone when it senses a frontal drop-off such as stairs or a curb, while additional sensors detect the edges of wheelchair ramps or other pathways. If a user comes too close to an edge of a ramp, the system vibrates the appropriate armrest to alert the user to adjust the steering. Vega and Singer have made their prototype design and software code open source to encourage others to build on their model and pursue assistive technology development. Researchers at the University of Arkansas (U of A) and colleagues in France have developed an artificial synapse capable of autonomous learning, a breakthrough they say could lead to the creation of large networks that operate similarly to the human brain. The brain learns when synapses make connections among neurons. Strong connections correlate with strong memories and improved learning, a concept known as synaptic plasticity, which could be used as a model to advance machine learning. The French researchers designed and built an artificial synapse, called a memristor, made of an ultrathin ferroelectric tunnel junction that can be tuned for conductivity by voltage pulses. The U of A researchers provided a microscopic insight of how the device functions, which will enable other researchers to create larger, more powerful self-learning networks. The researchers conducted computer simulations that clarified the switching mechanism in the ferroelectric tunnel junction, confirming the measurements taken by their French counterparts. With his recent appointment as director of all Microsoft research centers outside Asia, Eric Horvitz says he has a mission to oversee "game-changing" work studying how artificial intelligence (AI) is shaped by societal and social factors. Meanwhile, as past president of the Association for the Advancement of Artificial Intelligence, Horvitz has wielded significant influence to raise issues about AI ethics and safety. In his research into machine self-awareness, Horvitz focused on how machines can make decisions like expert humans, weighing the impact on themselves and the environment, but with a computer's speed and improvable precision. Horvitz also advocates the use of AI for the betterment of mankind, and has brainstormed on this with other AI leaders via the Partnership on Artificial Intelligence. The coalition recently issued its goals, mainly crafting best practices around fairness, inclusivity, transparency, security, privacy, ethics, and the safety of AI systems.